Kirsten is a qualified Chartered Accountant. 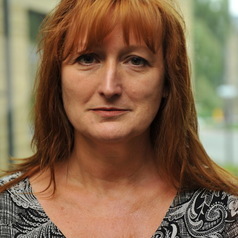 She joined the Accountancy Department as Senior Lecturer at the University in 2005 from Manchester Metropolitan University. Prior to that Kirsten had worked for over 20 years as a Chartered Accountant both in practice and in industry, specialising in the taxation of SME’s. Her experience focused on advising private companies and their directors. She spent 5 years at Deloitte and Touche as Group Manager of their entertainers’ group, advising a number of household names, particularly in the Pop industry. She was group tax manager of the Lewis Trust Group which includes River Island as one of its subsidiaries. She moved away from London in 1996 to work for PwC giving tax advice on structuring private company disposals. Kirsten became part of the Business School International Recruitment team in 2007, with responsibility for developing the China market. She has since travelled extensively in China, making two to three trips every year and visiting most major cities, where she has delivered many lectures to Chinese students. She has made a number of other international recruitment trips including most recently a visit to Sri Lanka.